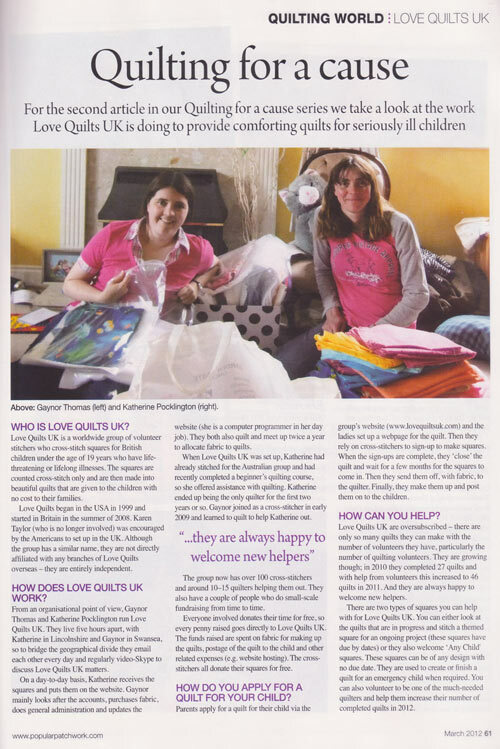 2012 was the fifth year of LoveQuiltsUK, and we have had another very busy year! 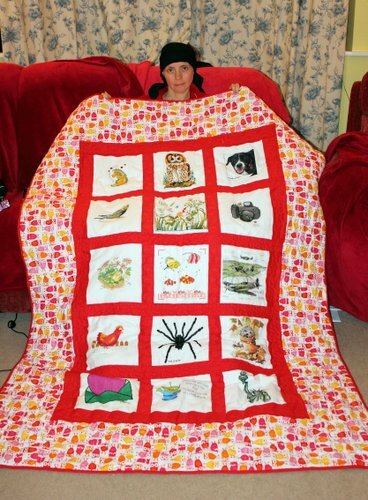 We appeared in Popular Patchwork's March 2012 edition with a 4 page article featuring photos of many of our kids and quilts! 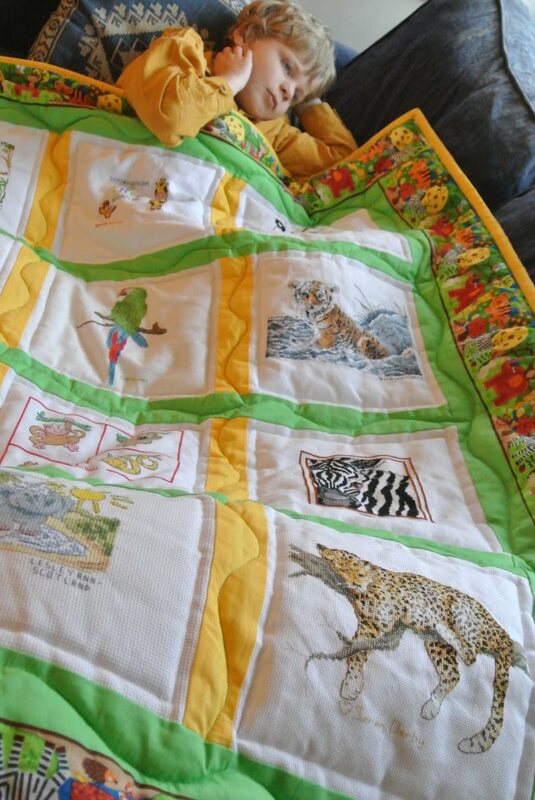 Several new quilters joined us as a result. We all had a big shock in August with our co-ordinator Kat being diagnosed with breast cancer. 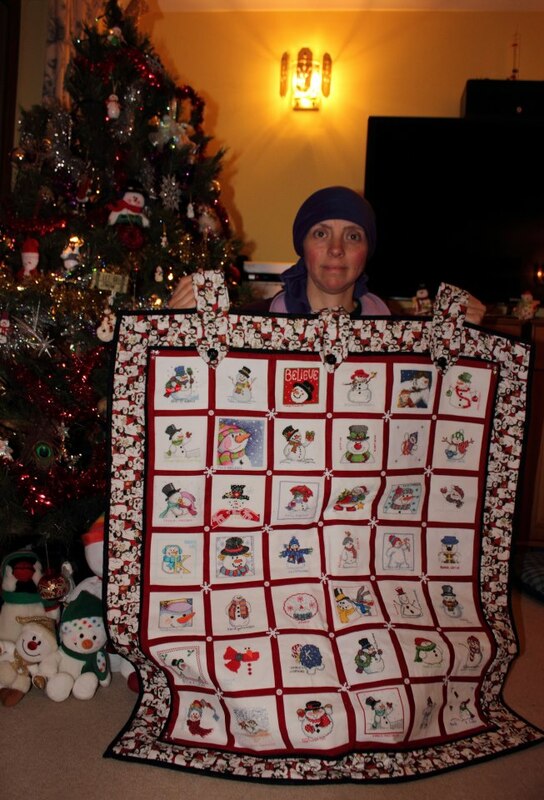 Due to Kat undergoing chemotherapy, Gaynor took on full responsibility for LQUK with assistance from her mother, Mrs T, in receiving and uploading squares to the website. 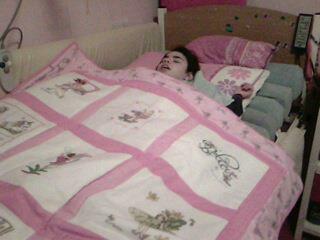 Kat's treatment is progressing well, and we hope that she will be fully back with us some time in 2013. 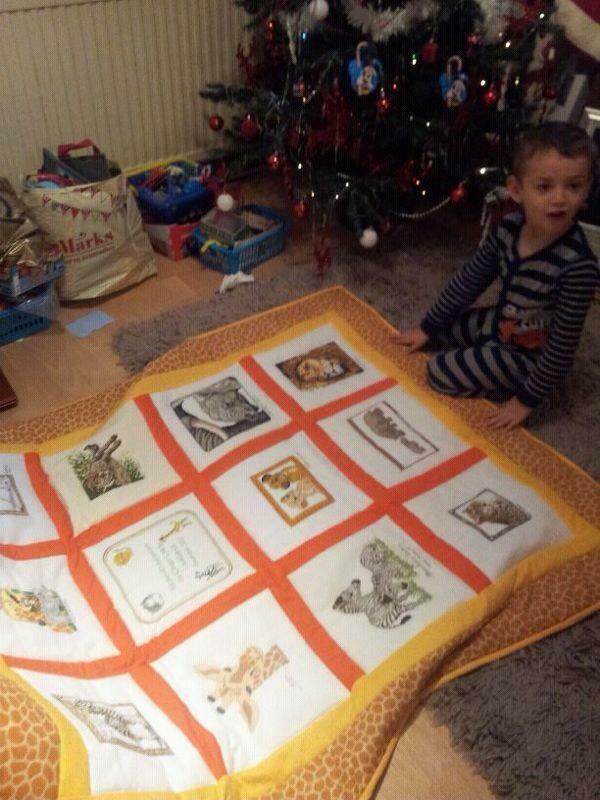 Members of LQUK made Kat two presents, a quilt and a snowman wall-hanging - well done to everyone involved. We would like to mention the following people who held events for us: Zara from Trinity, Alison with her Beavers sponsored walk, Christine with her dress-down day, Mrs E Thomas of Swansea - Easter Bunnies and various other stalls, Leanda Vickers' daughter's boyfriend with a bicycle ride, and Marie with her Christmas stall. Although we have singled a few people out, we really do appreciate *all* donations, big and small, so thank you very much to all our supporters! We were also able to make our first Gift Aid claim of Â£161. Total squares received in 2012: 1182 squares! We have had a record year for completed quilts this year, smashing through the 100 quilt barrier, and the 150 quilt barrier! 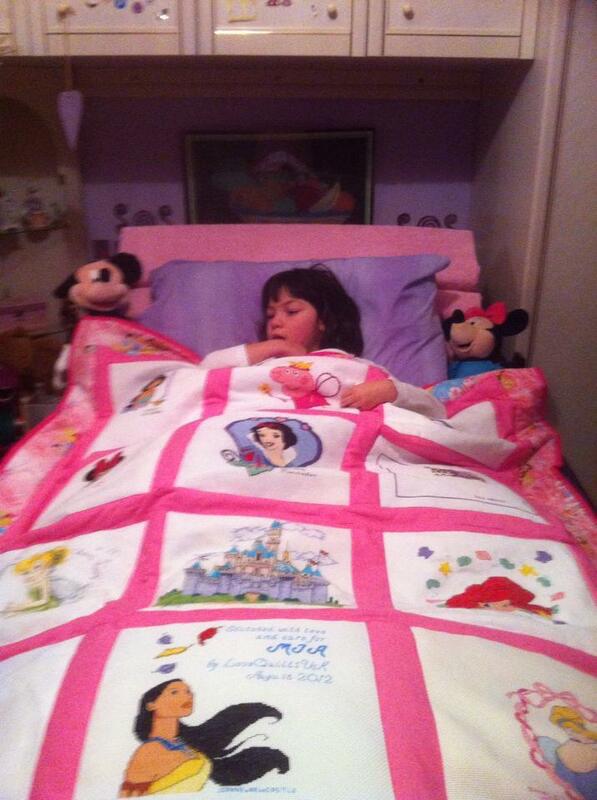 77 Quilts were completed in 2012! 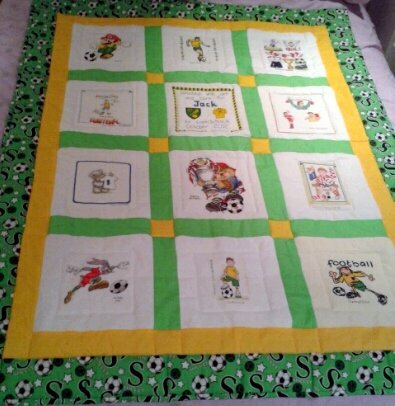 That brings our overall total to 174 quilts since 2008! 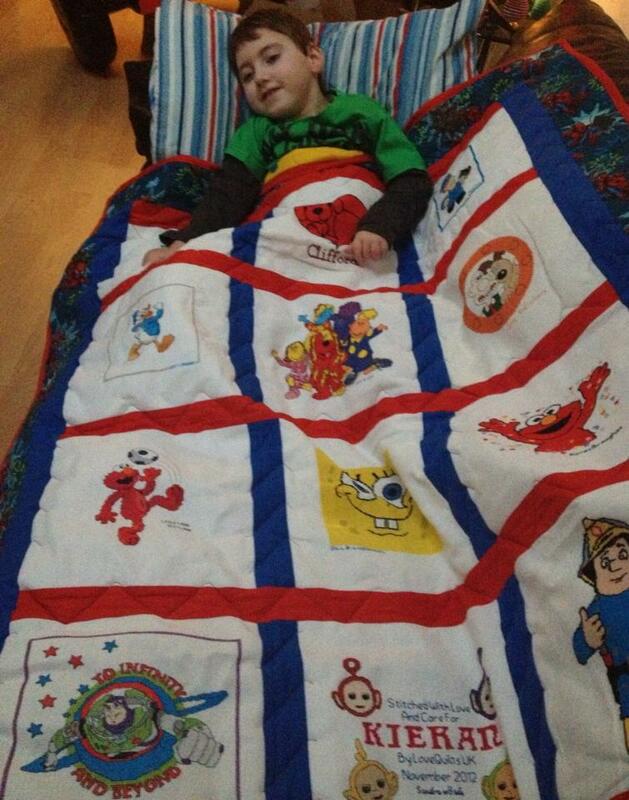 Thank you so much to our quilters without whom we could not have achieved this wonderful total. 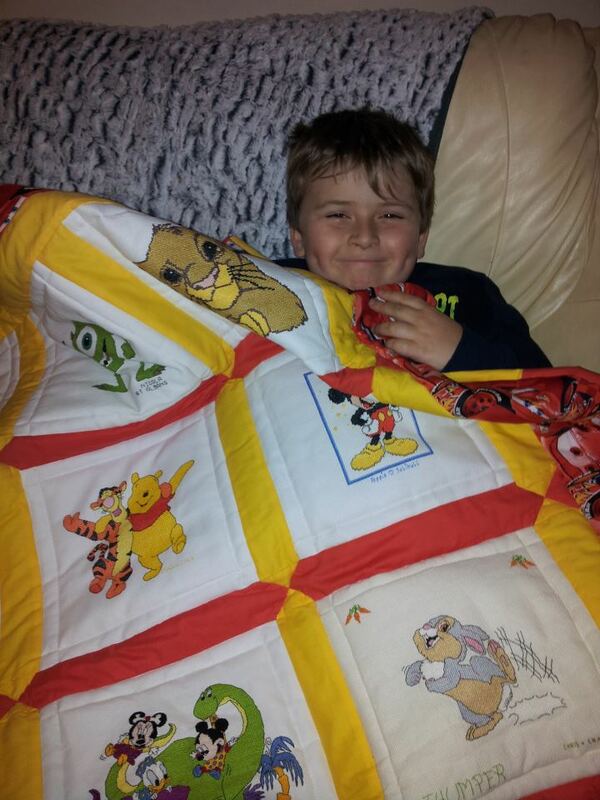 We are already quickly stitching towards the 200 quilt mark! Overall, we can safely say that it has been another great year for LQUK! 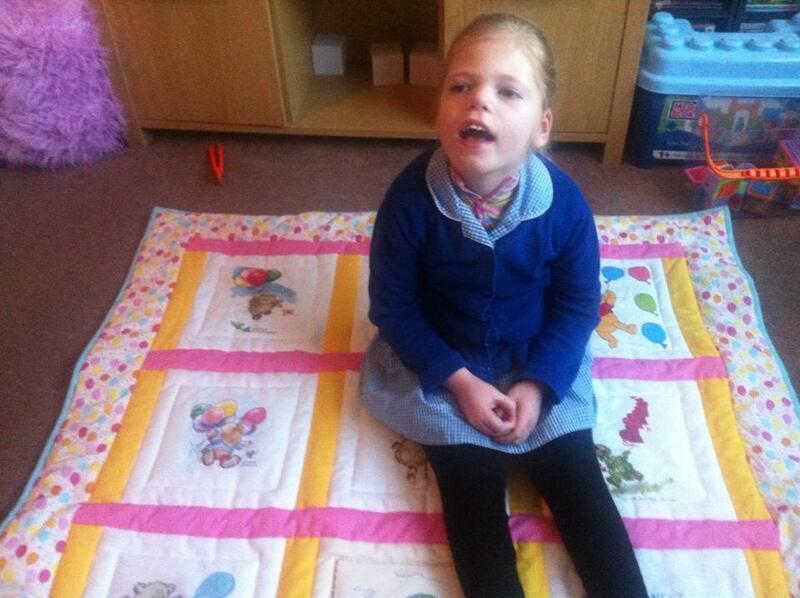 We wish everyone a Happy New Year and here's looking forward to having Kat back and making more children smile in 2013! We wish you all a wonderful, peaceful Christmas. Watch out for our End-of-the-Year review coming after Christmas! 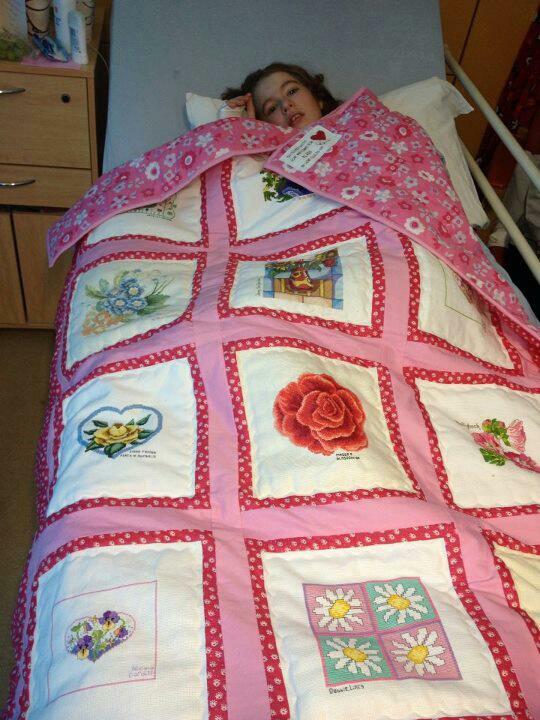 Paige V's quilt (Fairies) - quilted by Liz R has been delivered, but Paige is away in respite care at the moment. We will keep you informed! 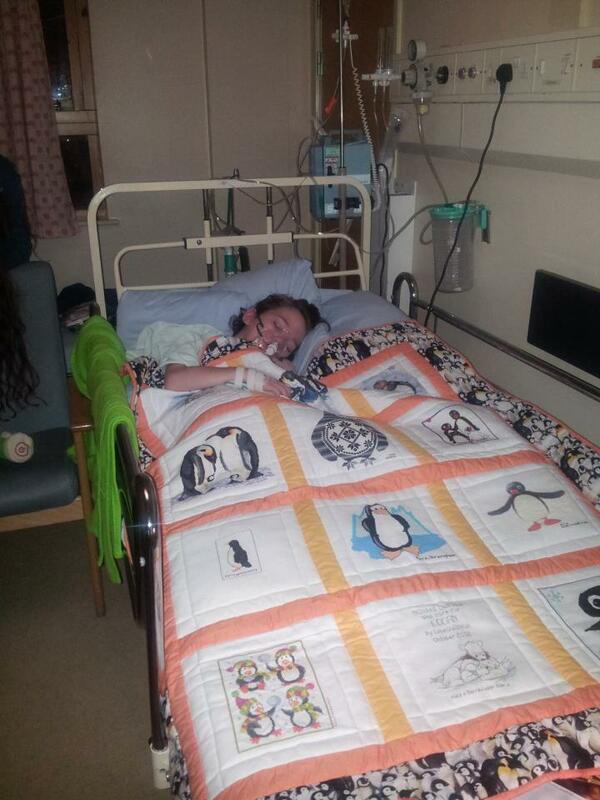 Logan M's quilt (Penguins) - quilted by Kita is now complete and will be delivered this coming week!